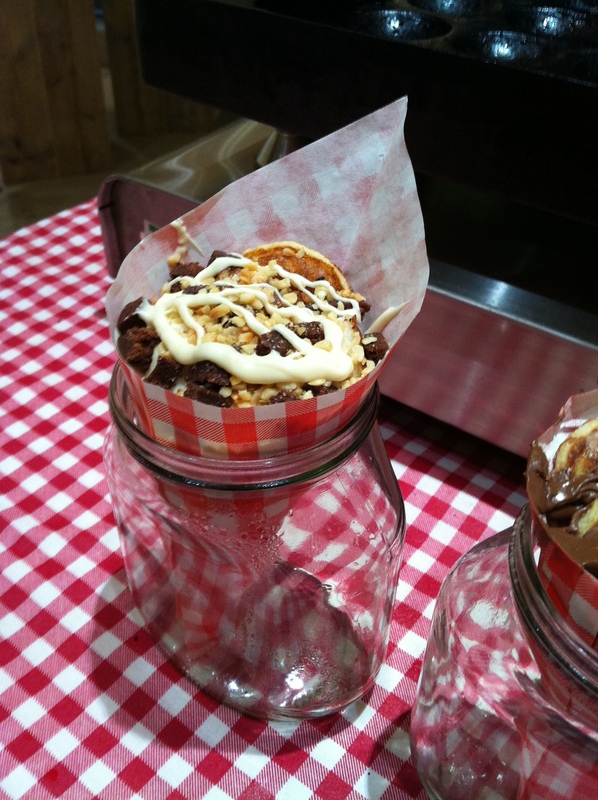 It was one of those evenings after an intense workout; I had to hurry down to the Japan centre at Westfield stratford. 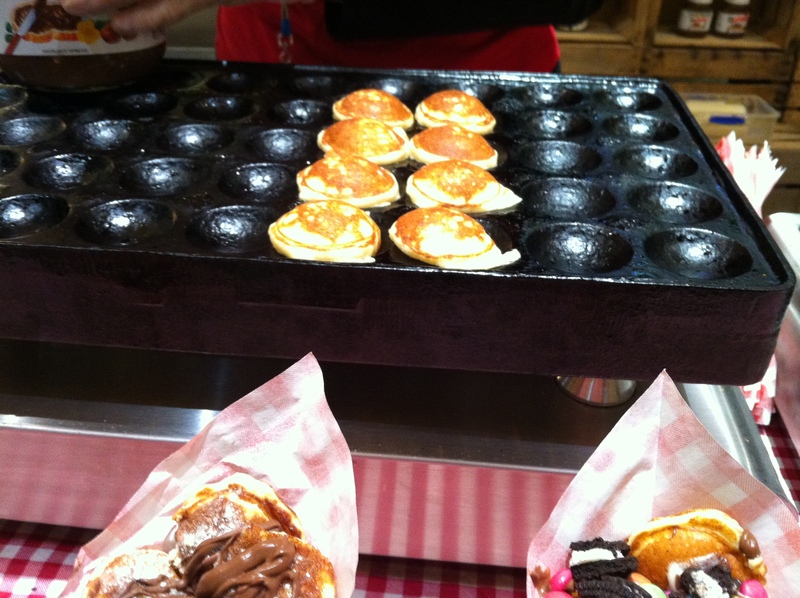 The distinctive smell of pancakes drifted to my direction and filled my nose, making me wonder to the direction of Dunkers & co stall, just like its Poffertjes dutch cousin. 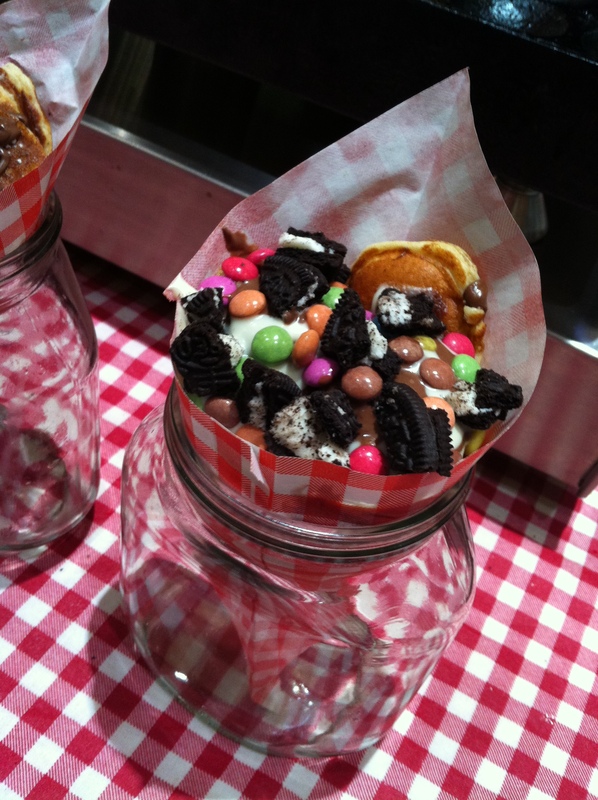 The small delicate pancakes were stacked neatly in a red checked striped grease wrap cone, layered with nutella, smarties, oreos, and white chocolate lined up neatly on display. 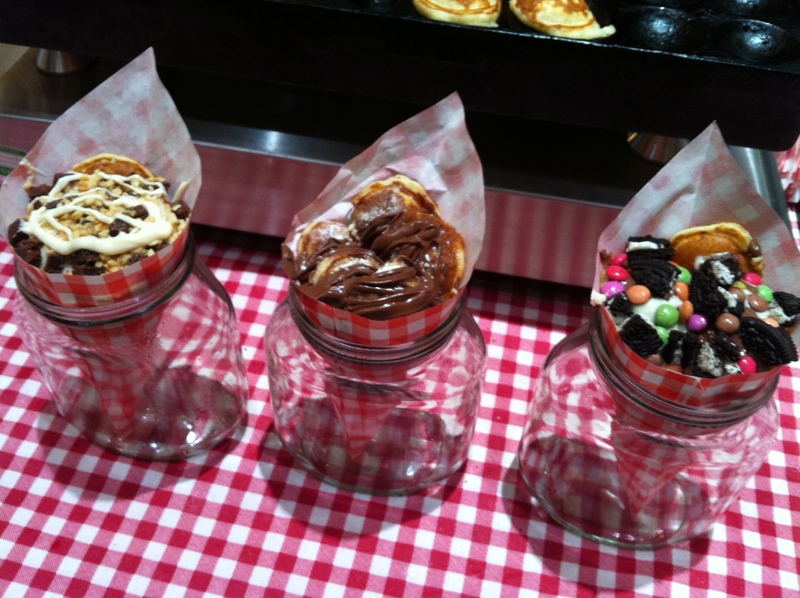 Like a giddy little kid I ordered mini pancakes with nutella, the first flavour to unfold was the sweet buttery taste, wow it was one of the best I’ve tried so far in London. 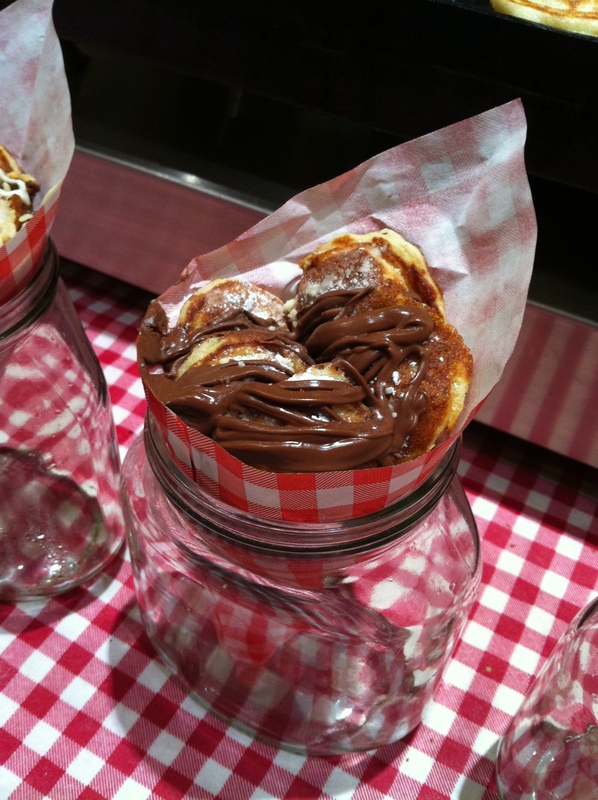 It was fluffy, with a smooth texture the nutella drizzled on top melted on the freshly cooked pancake, the chocolate and sweet buttery taste dissolved in my mouth. I didn’t care if I just piled the calories I just burned off it was totally worth it!